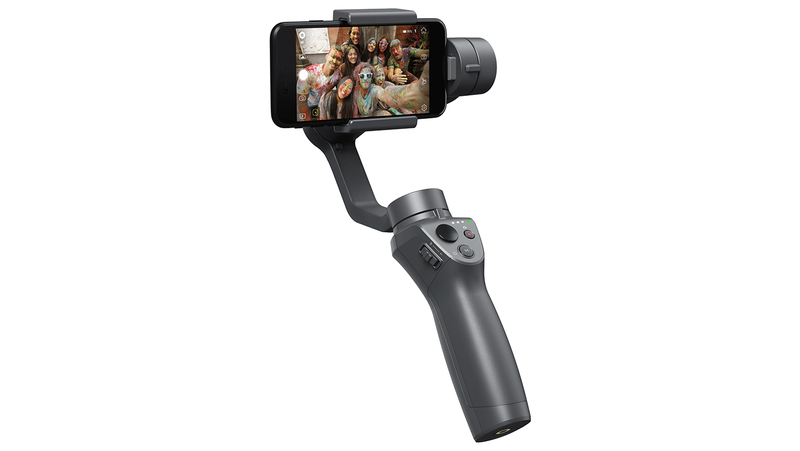 Zhiyun Smooth Q is not only a very affordable gimbal, it is also versatile. 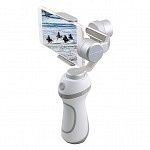 You can use it with your smartphone and your action camera from several brands. As you know, when reading my blog, gimbals are my favorite camera accessories as they add a professional touch to your videos. They are the best tool to avoid shaky footage. 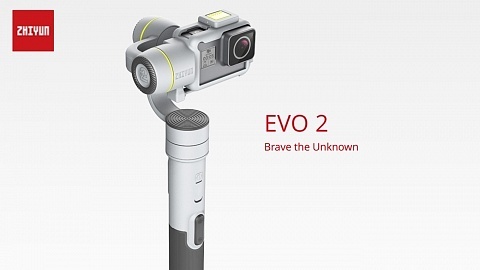 Zhiyun Smooth Q holds a built-in 26650 Li-ion battery which allows 12 hours of working time. A USB port at the bottom of the grip supports 5V/2A power output, so you can charge your phone (or camera) while shooting. But you could also use it to power a LED panel to light up your surroundings. On the side of the gimbal you’ll find a microUSB port to charge Smooth Q or power it with an external power source, like a power bank. Smooth Q itself weights 450g totally and can hold a max. payload of 220g. Pan axis allows 360° unlimited rotation, tilt axis moves -135° to +185° and roll axis allows +/-30° movement. Smooth-Q is splash proof and works under extreme temperatures (up to 45℃ and -15℃). The control panel provides a flat joystick to control the head, a camera photo/video mode switch, video Rec/Stop button and zoom controls. 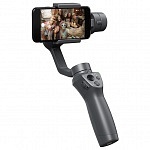 As already mentioned Zhiyun features 2 USB ports, one for charging the gimbal and a second one at the bottom to power other devices like camera or phone. The bottom also holds a 1/4″ standard photo thread to mount it on an e.g. tripod. You can use Smooth Q to stabilize your phone horizontally or vertically – in landscape or portrait mode. Simply release the knob at the back of the clamp, turn it and tighten it again. To balance your phone for better results and relieving the motor, there’s a second knob ring at the cross arm. When you release it you can slide the arm in and out to pre-balance your phone. It offers several operation modes indicated by the LED light and are selected by the mode button on the grip. In panning mode the gimbal follows pan movements while roll and tilt axes are locked. In following mode the tilt axis follows your up/down movements as well. 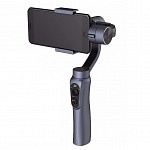 In locking mode the orientation of your smartphone is locked while you move the gimbal. 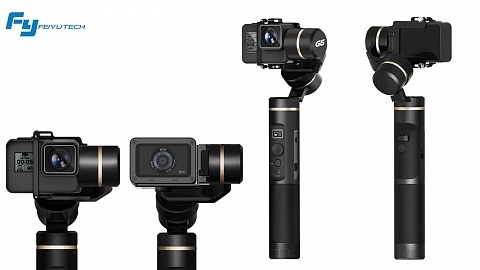 Zhiyun Smooth Q is available in black, grey, gold and rose. 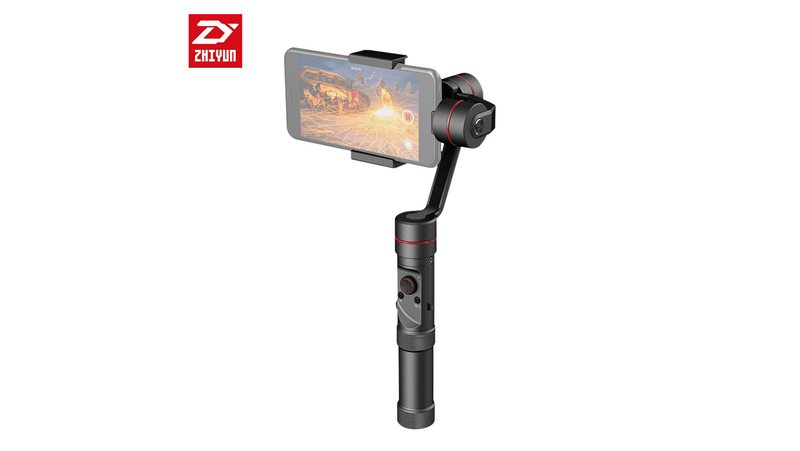 Zhiyun Smooth Q comes with a carrying case, USB-microUSB cable and english user manual. 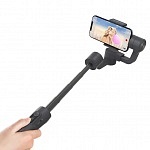 Zhiyun Smooth Q is compatible with a huge variety of smartphones including Apple iPhone (up to iPhone 8 including Plus versions), Samsung, Huawei, Sony,… There is no specific list from Zhiyun which phones are compatible, I was told up to 6 inch screen size and max. 220g in weight. 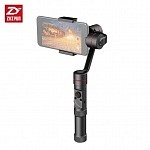 When using Zhiyun App on your Smartphone you can enable some special features like object tracking or face tracking. Select an object on your screen, which will be tracked during a movement and the gimbal’s head will follow automatically. 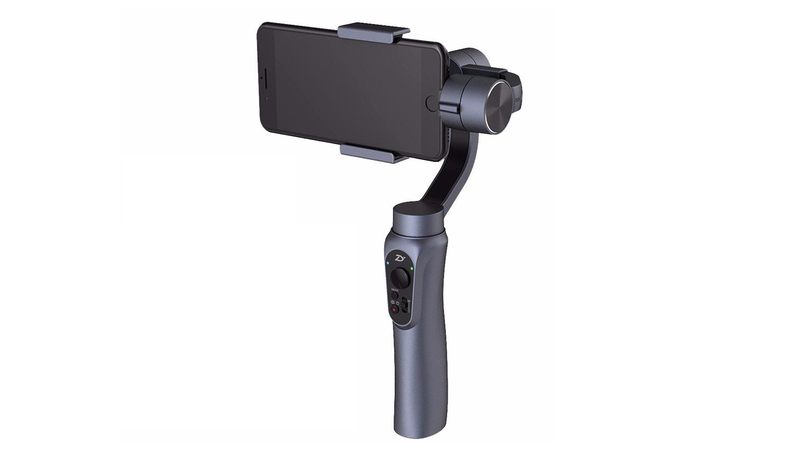 On a side note: If you use a larger Zhiyun gimbal like Crane with your DSLR, you can put your phone on top of the camera, use Zhiyun App to select object tracking and Crane (incl. DSLR) will follow the object. You can mount your action camera without any accessories, simply change the clamp to portrait mode (clamp is sideways) and it will hold your camera. This is big plus compared to Feiyu SPG, which requires two foam pieces and therefore the shutter buttons covered. 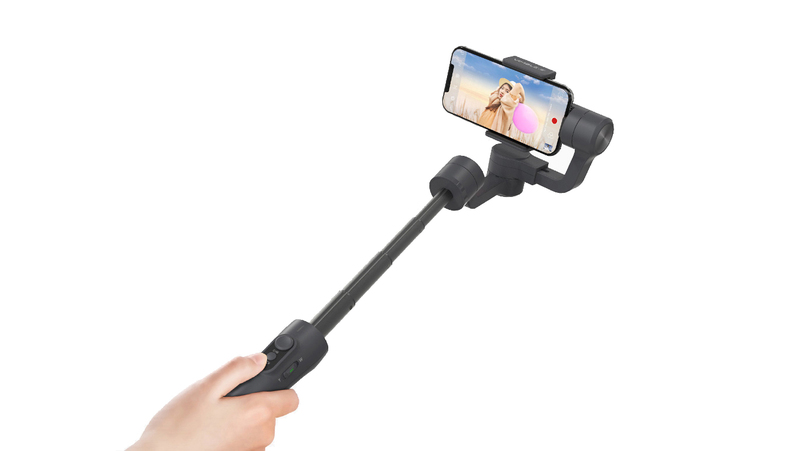 With Zhiyun’s clamp on the side, the buttons / ports on the side are covered but not the shutter on top. 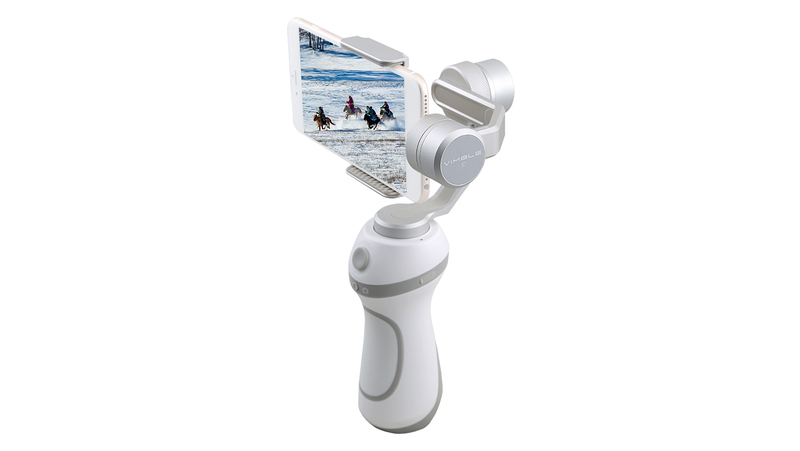 An because the clamp is mounted on the side you can even use an Action Camera with underwater case (Smooth Q is splash proof). 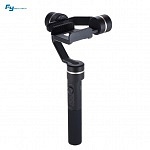 Both Smooth Q and SPG allow 360° rotation therefore it’s no problem to use the gimbal while the camera is facing forward. Keep that in mind with gimbals that don’t allow 360° rotation as most of them are limited to +/- 160°! The screen on the backside is not fully visible on all of them. Another option is an optional adapter. This way all buttons and ports of your action camera are accessible and the screen is fully visible. 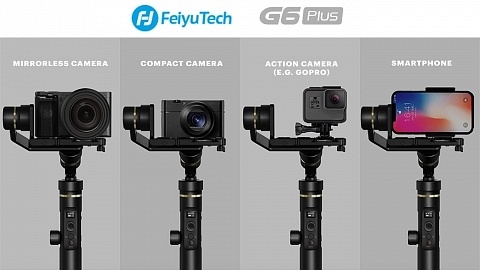 If you want to use your gimbal with Smartphone & Action Camera, compare it to Feiyu SPG. 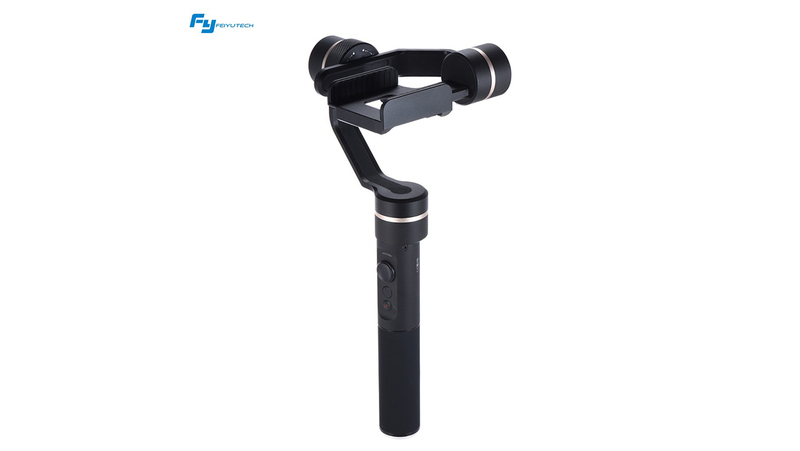 If you plan to use it only for your phone, take a look at Feiyu Vimble 2 or Zhiyun Smooth 4.